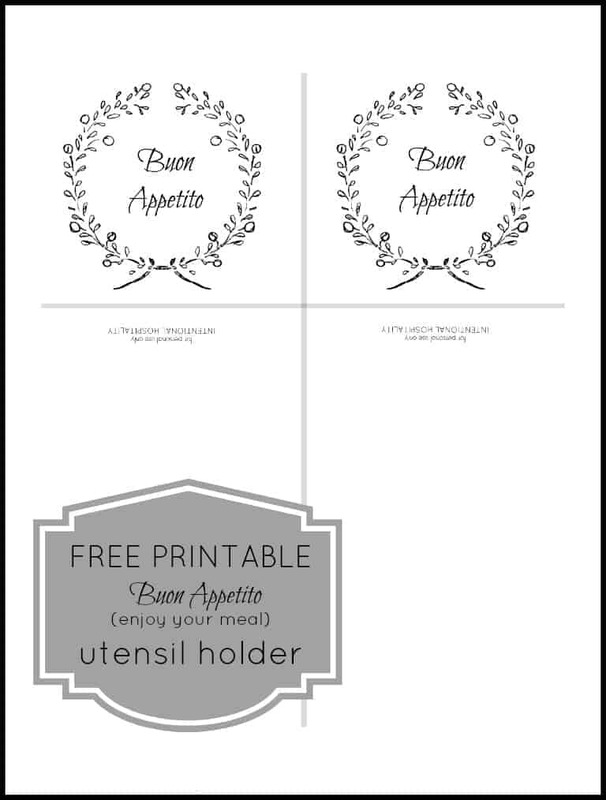 Make your next Italian meal special by decorating your table with this Free Printable Utensil Holder. Doing the little extra things helps create memories for your friends and family and it tells them you are special to me. To make these just download the free PDF. 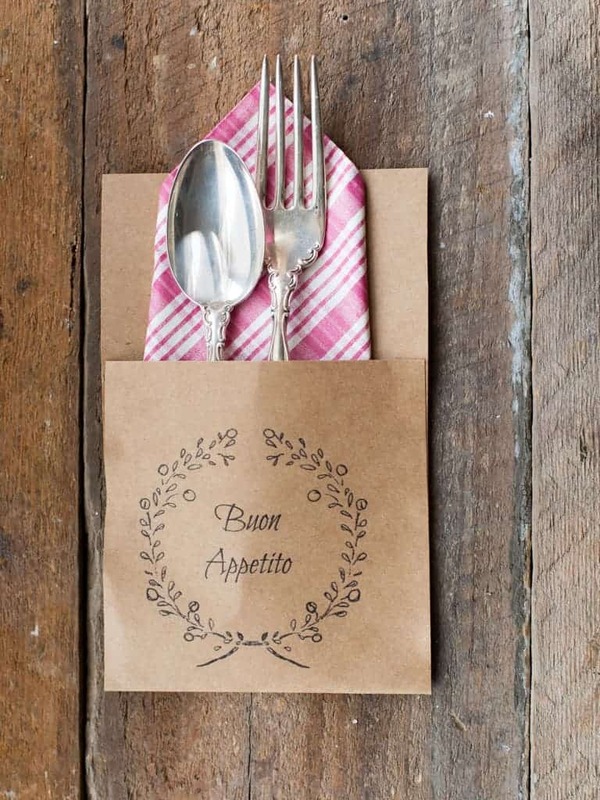 Print however many you need on brown card stock paper, or any other color card stock you like. There are two on a sheet so cut the sheet in half on the vertical line. Then fold on the horizontal line to create a pocket envelope. Glue edges, allowing to dry for an hour.